NATURAL-LOOKING, LONG-LASTING RESULTS TO IMPROVE FACIAL CONTOURS AND SYMMETRY. Dermal fillers are an excellent tool for those seeking to restore fullness and vitality to the face. This treatment is especially suitable for men and women who would like to erase the early signs of ageing that have already appeared or wish to postpone the effects of ageing, such as loss of volume and the formation of wrinkles. Men and women from all walks of life have sought this treatment, as it is a highly practical and effective way to achieve a youthful and refreshed appearance at any stage of life. 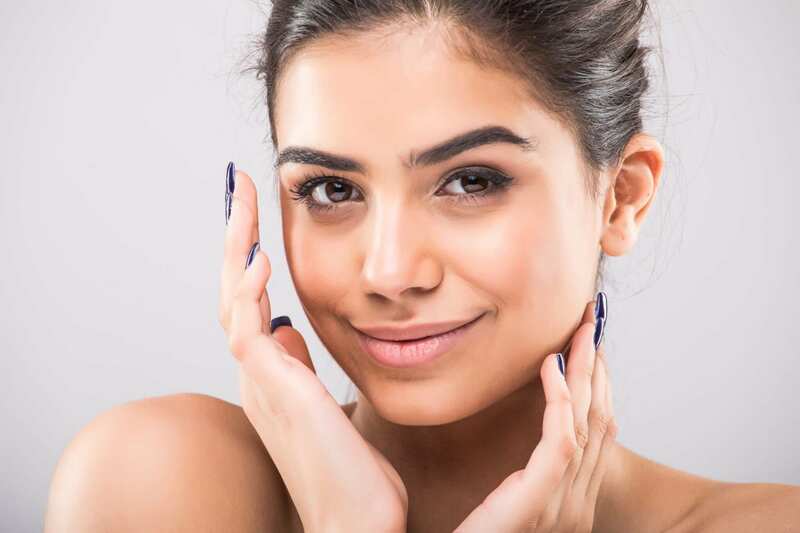 At My Cosmetic Clinic, we use dermal fillers to rejuvenate the face for our patients at our 9 convenient locations in and around Sydney and along the Central Coast from Newcastle to Nowra. Dr Ansari and our team of experienced cosmetic nurse practitioners carefully inject dermal fillers to help patients restore youthfulness to the skin, redefine the facial contour and add natural support of the various structures that become worn with age. Patients who are treated with dermal fillers enjoy facial fullness, plumper lips, enhanced shallow contours and even the softening of facial creases and wrinkles. The resulting volume means the skin appears revitalised, fresher and naturally healthier. Dermal fillers can be used to treat a variety of areas, including the lips, cheeks and jawline, as well as under the eyes, around the nose and even on the backs of the hands. While they are often sought to lessen the appearance of wrinkles and creases, men and women also seek dermal fillers to delay the visible signs of ageing to enjoy a fresher, firmer complexion for longer. Before your treatment, our practitioners will provide you with quality advice and education on the risks and benefits of such a procedure in a complimentary consultation. Here you will be offered options, and your circumstances and goals will be assessed to help you find the safest and most suitable treatment to meet your needs. Under the expert direction of Dr Ansari, dermal filler injections are performed by our team of extensively trained cosmetic nurse injectors. My Cosmetic Clinic strives for service excellence and provides you personalised care from consultation to aftercare. Our team of skilled, well-experienced specialists are driven by the desire to help you unearth your best self by making the most of your natural beauty. At My Cosmetic Clinic, we are experienced in a wide array of surgical and non-surgical anti-ageing techniques. At our 9 conveniently located locations, including Botany, Erina, Frenchs Forest and Wollongong, we aim to help you maintain a fresh, youthful appearance by enhancing your natural features. Dermal fillers can help your skin look smoother, firmer and healthier for longer. To take your first step, call us on 1300 85 49 89 or make an appointment online. WHAT SHOULD DERMAL FILLERS BE USED FOR? Dermal fillers are an excellent tool for restoring the volume and plumpness to areas of the face, including the lips, chin, cheeks and jawline, as well as under the eyes, nose and even hands. The products also smooth away signs of ageing like wrinkles and facial creases. In some cases, dermal fillers can be used to improve the appearance of mild scarring. Cosmetic injection treatments, such as dermal fillers or lip fillers, are not always about turning back the clock. Instead, they can help make the clock tick slower. These treatments can ward off tell-tale signs of ageing, allowing patients to maintain a fresh, healthier complexion for longer. Dermal fillers are suitable for men and women whose facial aesthetic has been affected by the ageing process; those who have been left with wrinkled or sagging skin and have subsequently lost the volume and shape that defines the face. This treatment is also suitable for those who are happy with the way they currently look, but merely wish to postpone the onset of wrinkles and the loss of volume that comes with age. HOW ARE DERMAL FILLERS (INCLUDING LIP FILLERS, CHEEK FILLERS) ADMINISTERED? Dermal cheek and lip fillers are administered via tiny injections under the skin. They are fast, easy and the results are visible instantly. The treatment offers a minimal amount of discomfort and downtime. IS THERE ANY DOWNTIME WITH DERMAL FILLERS? There is usually no downtime required after the treatment. While some patients may experience swelling, this is generally not obvious. In some cases, especially when treating hollows under the eyes, there is a risk of bruising, which may be visible for a few days. Generally, you can return to your regular daily activities following the procedure. HOW LONG DO THE RESULTS OF DERMAL FILLERS LAST? Results of the treatment can last from six months to two years, depending on the type of fillers used and areas of the face treated. Over time, the fillers dissolve naturally, gradually breaking down in the skin as we age. For long-term optimum results, we recommend repeating the procedure every year or two. However, to maintain the full, rejuvenated look, many patients repeat their dermal fillers after six months (recurrently, as required). CAN I HAVE BOTH DERMAL FILLERS AND ANTI-WRINKLE INJECTIONS? Yes. Your needs and expectations will be discussed with Dr Ansari or your nurse injector at your first consultation. If you require both dermal fillers and anti-wrinkle injections to achieve the most effective result, we will let you know and make arrangements for both of these procedures with your consent. WILL PEOPLE KNOW THAT I HAVE HAD DERMAL FILLERS? Dr Ansari and our team take every measure to ensure that your dermal fillers produce a natural-looking appearance. The treatment aims to enhance your natural features, smoothing away deep indentations and wrinkles in the process. You will attain a fresh, healthier complexion but your skin will not appear plastic or unnatural in any way. The injections are placed into the skin with a very fine needle, so you may feel a small pinch when it enters your skin. However, Dr Ansari and the team use a numbing gel before performing the treatment, so any pain you feel should be minimal. HOW DO I SCHEDULE AN APPOINTMENT FOR DERMAL FILLERS? To book an appointment at My Cosmetic Clinic, you can use our friendly online booking system, which takes just moments to lock in your appointment. Choose from one of our nine clinics across NSW in the process. You can also call 1300 85 49 89 to arrange a consultation.